I feel like everybody I speak to has one generation that they largely missed out on. For some it’s due to getting into gaming after the generation finished or began to wind down, and for some it’s simply because the generation largely occurred in that awkward period where you largely relied on others buying consoles or games for you, leaving you with limited opportunities to play. For me, that’s where the generation of the PlayStation 2 came, leaving me to completely miss a wide swath of games that have come to be considered some of the best and quirkiest of all time. I’m exactly the target audience for remasters of older games, and with the release of Katamari Damacy REROLL I’ve finally had the opportunity to experience what is a game unlike any other. If you’ve never seen a Katamari game before then prepare for the weirdest and quirkiest experience in the medium. You control the tiny Prince, son of the King of All Cosmos’ and soon to be saviour of the galaxy, after the out of control King collides with and destroys every celestial body visible in the night sky. To do this, the Prince must take a trusty Katamari – a spiked ball that other objects stick to – and create exponentially increasing sized balls of junk to replace the celestial bodies by rolling up everything in sight. It’s a weird premise, and the game leans into that weirdness with every fibre of its being, creating something that is both unlike anything else in the medium and is incredibly endearing and engaging. In order to make your star-replacement ball of junk, you need to roll the Prince’s Katamari over enough things to hit the goal set by the King – be that a size or collection goal. You use both analogue sticks to move the Katamari, with almost tank-like controls that take some time to get used to. It’s these controls that are the weakest part of Katamari Damacy REROLL, with a combined weight of control and an over-responsiveness to the analogue sticks holding them back. The camera, which is automatic and not manually controlled, is built to always stay behind the Prince’s back, however, it’s often a tad too slow to keep up with your movements and tends to get into annoying places when you’re against walls or in the corners of areas. 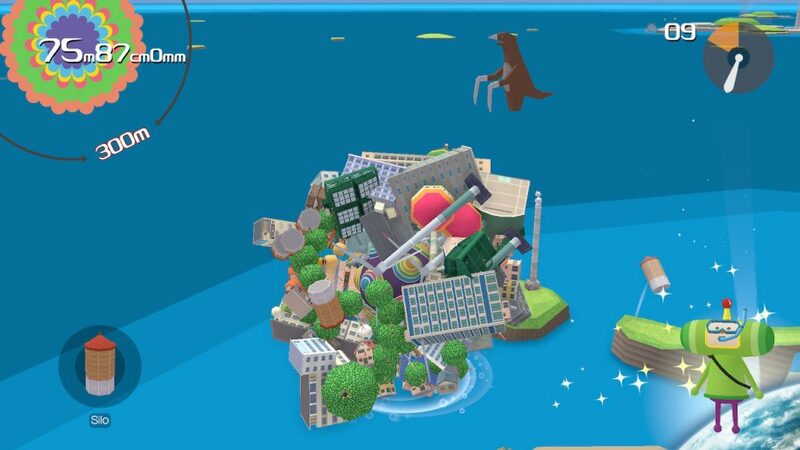 These are the two places where Katamari Damacy REROLL’s original PlayStation 2 design frustrates, but neither are enough to destroy the magic of the game. The real beauty of Katamari Damacy REROLL comes with the games quirky design, which encompasses the level design, interactions, music and art style. 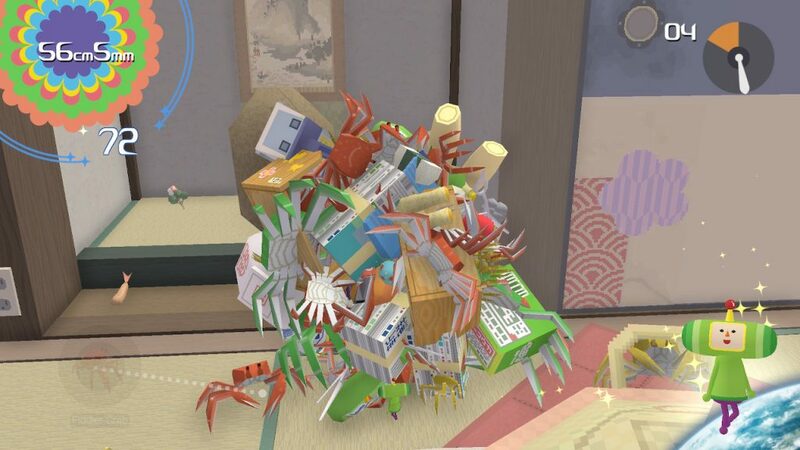 While you’ll initially be collecting tiny objects early on, your Katamari quickly grows in size, resulting in some truly absurd moments, like collecting bulldogs riding surfboards or plucking skyscrapers from the ground. The best part of these moments, is that there is a steady escalation in their size and absurdity as you progress, leaving you constantly surprised and interested as you continue through the story. The reactions of living creatures are great as well, as crowds scatter and run in terror as your colourful junk orb rolls towards them. If your Katamari isn’t big enough to collect them though, they will instead steadfastly ignore it as you bounce off them or gleefully chase you, causing you to lose some of your objects in any collisions that occur. I often found myself deliberately chasing things, even if I didn’t need them, just to watch the chaos it would cause. The world of Katamari Damacy REROLL, in which all of these fantastic interactions occur, has an art style that is both incredibly absorb in its variety and yet utterly cohesive in design. From the tiny to the giant, every object and living creature has a chunky nature to it that makes them easier to identify and fun to look at, and their limited animations add to the absurdist angle of everything. The game uses a massive palette of colours, eschewing the drab stylings of other games for a maelstrom of intense clashing colours that makes everything stand out, while somehow still being a cohesive overarching design. This absurd art style combines together with some wonderfully eclectic music to truly tie the whole experience together. 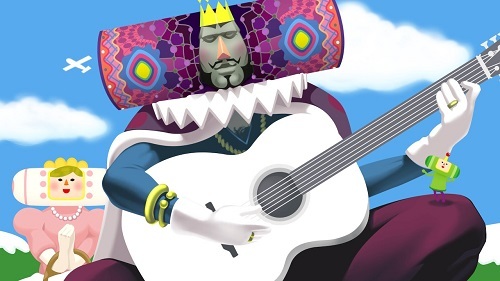 Whether its the high energy beats of Katamari on the Rocks, the chill vibes of Cherry Blossom Color Season or the wild The Last Samba, the music in Katamari Damacy REROLL is memorable, fun to listen to, and perfectly matches the moment its used. Overall, Katamari Damacy REROLL is an experience unlike any other, with its clashing, yet somehow cohesive, colour palette, fantastic soundtrack and engaging gameplay combining to become something I loved. While the controls and camera show their age, and are somewhat frustrating at points, they’re relatively minor hiccups that don’t drag the rest down. 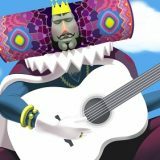 Whether you’re a newcomer to the series or returning for more Katamari action, I wholeheartedly recommend Katamari Damacy REROLL.